← (415)…Test cricket in rush of runs. 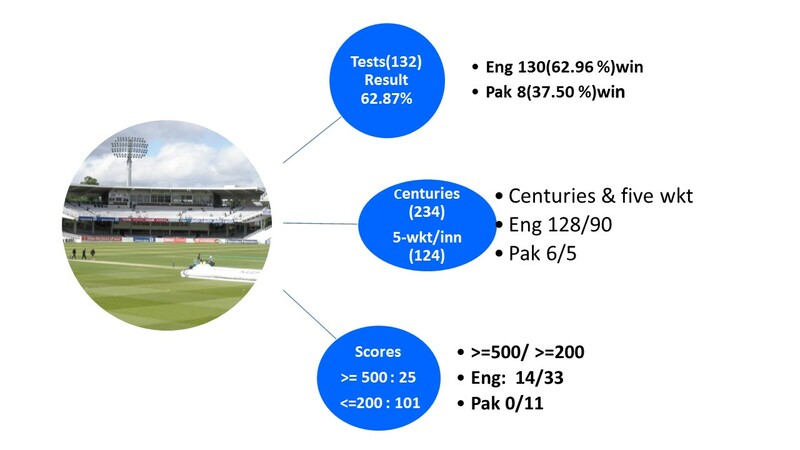 Below tables features historic graphics of Lord's, and success rate of both England and Pakistan at this ground. 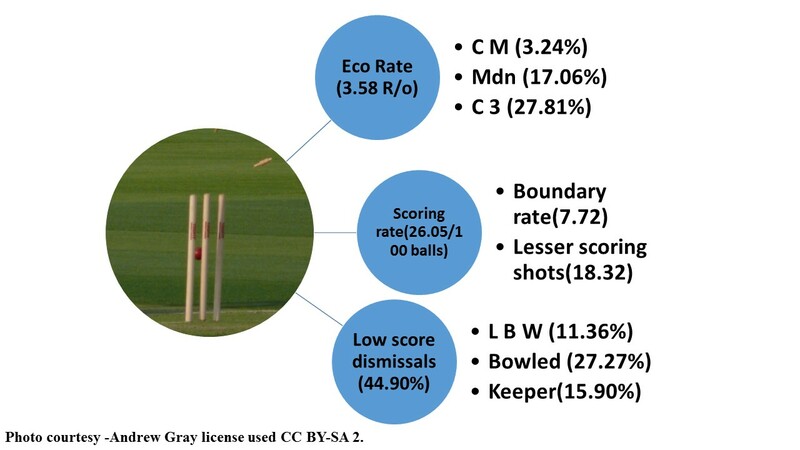 Data analysis of scoring shots, R/o in phases, Eco.rate, and low-score dismissals from last 3 Test matches(2015-2016). Overall success, personal milestone and team scores. A small comparison with Eng and Pak. 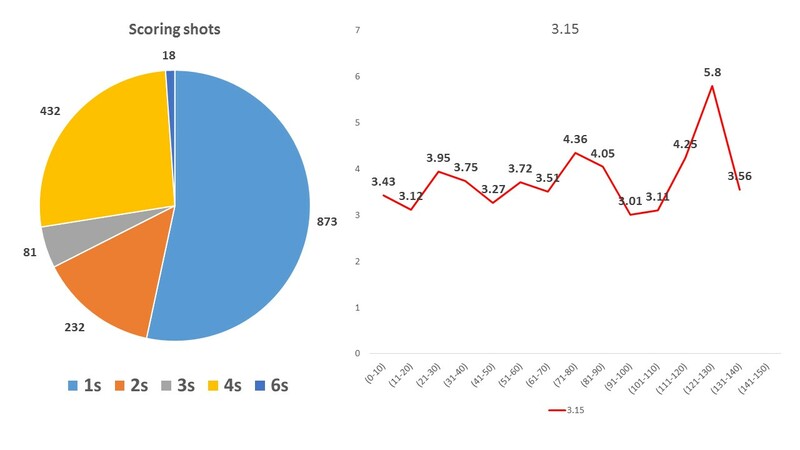 Scoring shots and runs/over in each phase(10-over period). 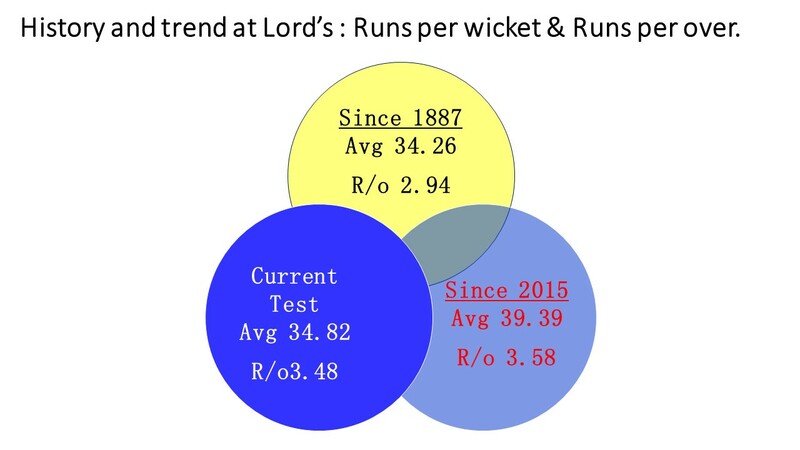 Data from 3 Test matches played since 2015 at Lord's(including all participant teams).